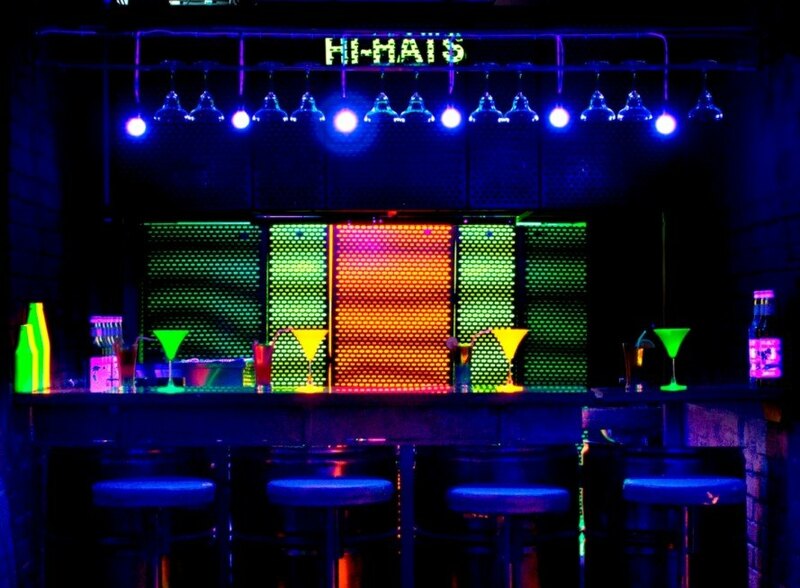 Architect Manoj Patel transformed materials sourced from a scrap yard into a 2,101-square-foot discotheque. Made from mostly reclaimed materials, the project was created with the aim of creating a vibrant space that minimized its impact to the environment. Recycling is celebrated in the design and prominently featured in the discotheque’s entrance area, which is decorated with recycled tin lids. Recycled beer bottles and recycled paper line the foyer, while reclaimed barrels can be found at the mocktail bar. Other salvaged materials can be found throughout the space. Architect Manoj Patel transformed materials sourced from a scrap yard into a 2,101-square-foot discotheque. Made from mostly reclaimed materials, the project was created with the aim of creating a vibrant space that minimized its impact to the environment. Recycling is celebrated in the design and prominently featured in the discotheque’s entrance area, which is decorated with recycled tin lids. Recycled beer bottles and recycled paper line the foyer, while reclaimed barrels can be found at the mocktail bar. Other salvaged materials can be found throughout the space.